ThermHex Waben GmbH presents its lightweight Organosandwich semi-finished product at the international specialist conference “Plastics in Automotive Engineering“. The show is running from 3-4 April at the congress center Mannheim. 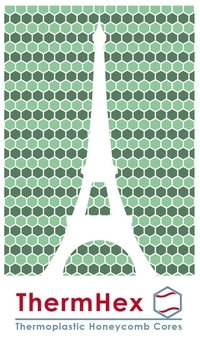 The honeycomb core specialist’s Organosandwich is a real all-rounder in automotive production: There is a wide range of possible applications in the automotive sector for the thermoplastic material – the material can be used for the inner bonnet, door modules, under body panel, front separation walls, seats and seat backs, battery housing or back end module. By using the lightweight Organosandwich, weight savings of over 80% are possible compared to a monolithic design. Compared to monolithic GF/PP organosheets, the ThermHex sandwich requires fewer layers to get the same stiffness, which leads to considerable cost savings when using GF/PP-UD tapes. In addition, the Organosandwich is produced using the innovative ThermHex process, which is patented worldwide. The continuous and fully automatic in-line production of the sandwich material saves both material and production costs. 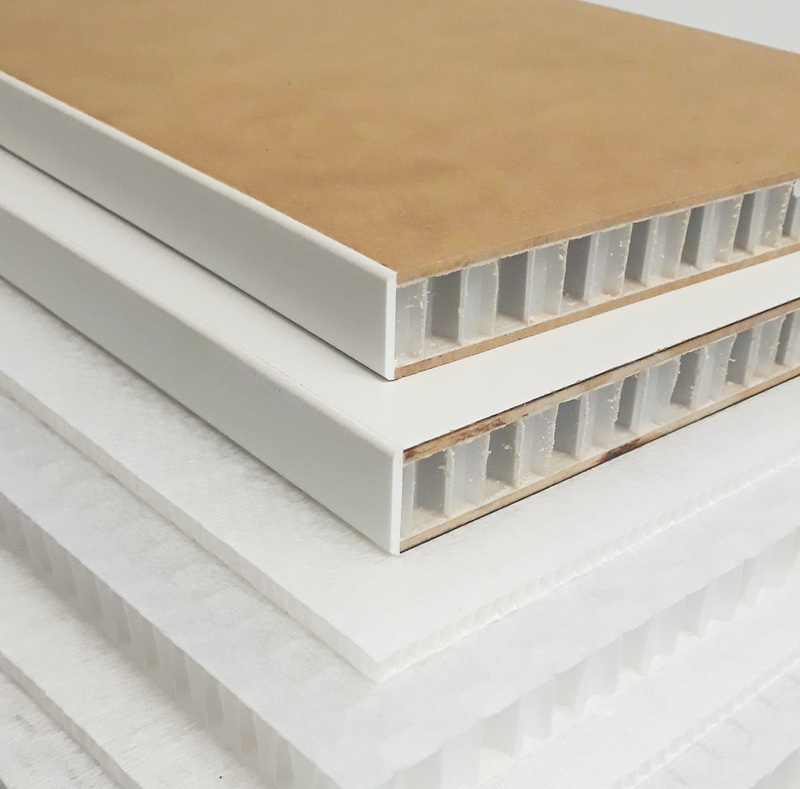 The Organosandwich is made of two glass fiber reinforced polypropylene skins, each consisting of two layers of UD tape in 0°/90° and a polypropylene honeycomb core. The in-line laminating process enables an optimum connection between core and skins. 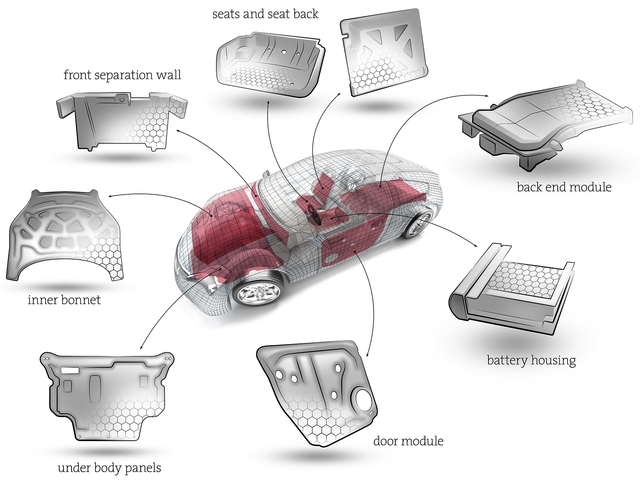 The Organosandwich can be shaped and functionalized by injection molding. Thus, load introduction and functional elements at the component edges can be realized in a single step. Meanwhile ThermHex is already working with some car manufacturers on different applications. Other interested parties will have the opportunity to convince themselves of the innovative lightweight material at stand number 40 in Mannheim. “With the Organosandwich, we enable our customers to reduce costs by lightweight construction in the vehicle in order to reduce fuel consumption, which in turn has a positive effect on CO2 emissions and the environment,” says Dr. Pflug, Managing Director of ThermHex.